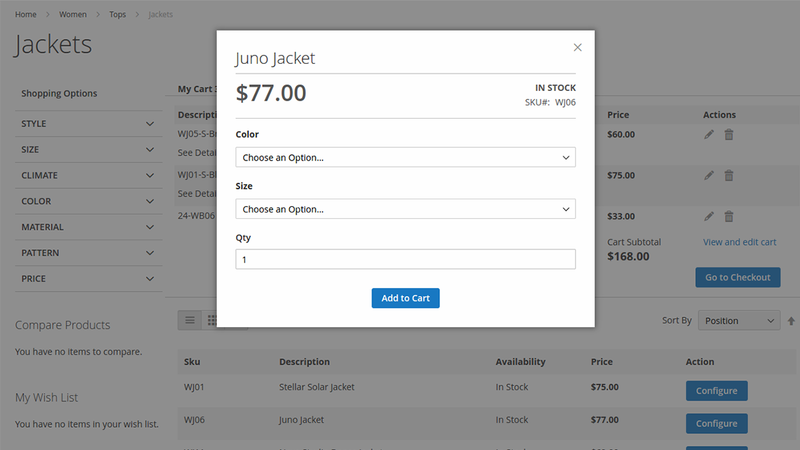 Making an order as quick as possible, and in the most convenient way is a very important thing in your eCommerce business. You know that the customers are different and someone likes to select the products from the grid list, someone likes to order as quick as possible and doesn't want to see product's picture and information. The most expensive thing in our life is time, so this module will help you to save your time and the time of your customer. 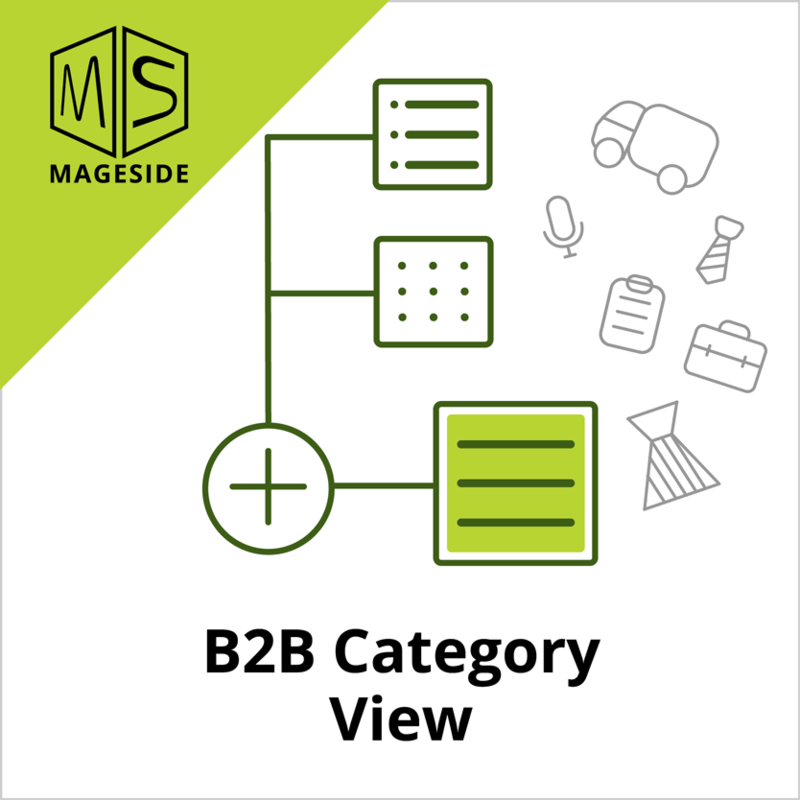 The B2B Category View extension will help you to show all category products as a list view. Using this extension will be convenient for those customers who know what product they want to order, and they don't want to see all product's information, pictures etc. 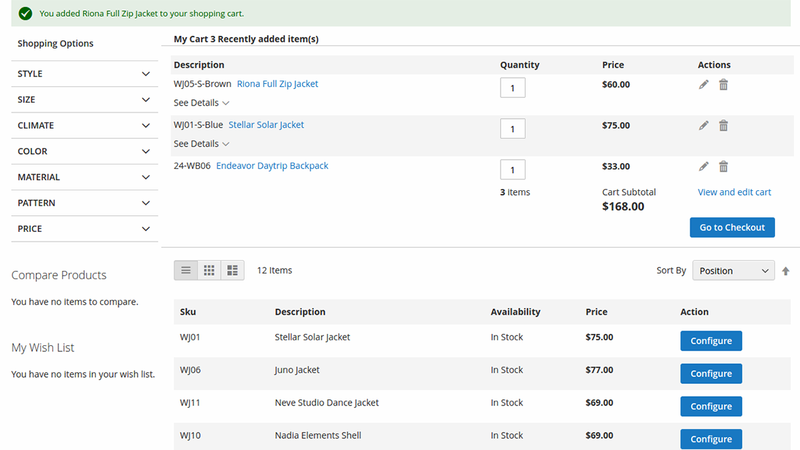 With the help of B2B Category View extension, the customers can add products to the cart right from the list, they don’t need to run to the products’ page. This module is easy configurable in the admin panel, no special programming knowledge is required. The configuration panel of the extension is easy to use, you can set up view mode, you can select which fields you want to show in view mode, you can enable/disable the extension whenever you want. It is a great pleasure to work with our extension. No specific programming knowledge is required. Just make a few clicks during installation, then a few in the configuration panel and the work is done. It doesn't matter what product types you have in your store. This extension will be applied to all product types (simple products, configurable products, bundle products, grouped products etc). 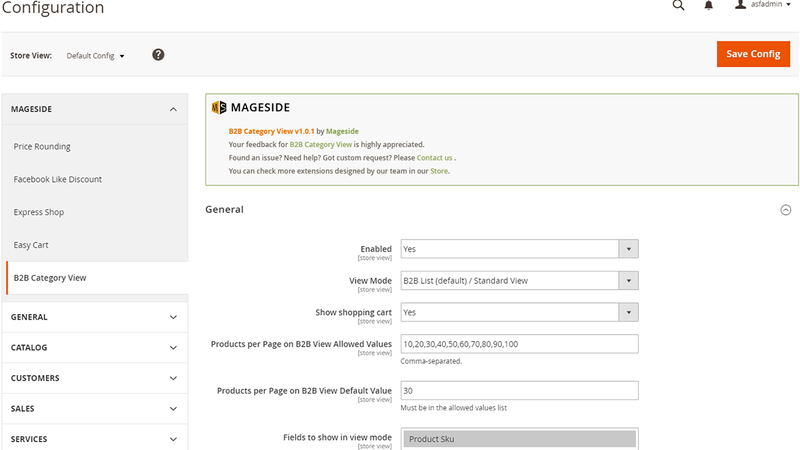 Ability to output the information about how much products are in the stock right now. 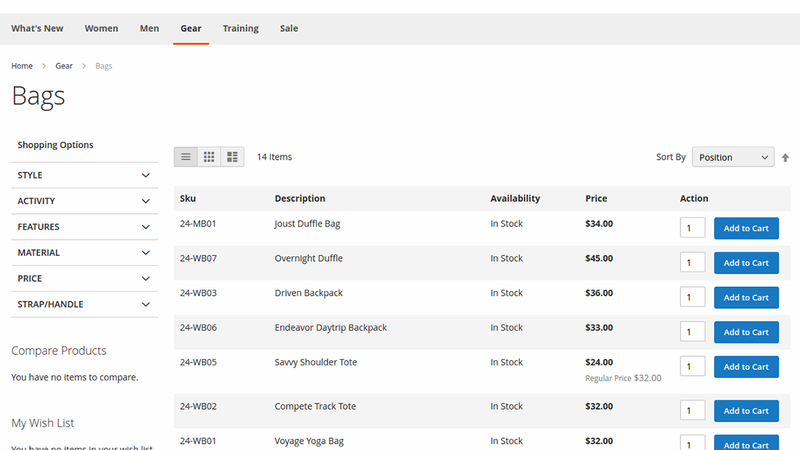 When a product is almost out of stock then the remain quantity of product will be shown.